Babies cry to communicate their needs with their parents. They might be hungry, tired, not feeling well or may just want to be held. They’re also quite sensible to changes in temperature and new environment. This can make it hard to keep your baby calm during doctor visits. You may have tried swaddling your baby or rocking him until he stopped crying. Some people have even found success with popular music. Unfortunately, these methods don’t always work. 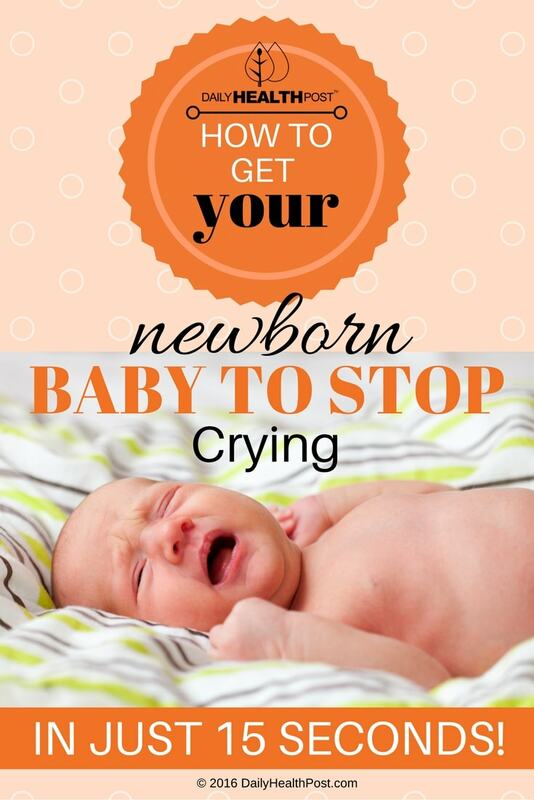 Dr. Robert C. Hamilton, a pediatrician with over 30 years of experience, has come up with a quick and easy way to get your newborn baby to stop crying. It’s actually quite simple to do : all you need is your two hands and your baby. The most important thing to keep in mind is to support his chin to keep his head stable. Pick up your baby, belly-down with his head facing away from you. Fold his right arm across his chest and do the same with the left arm. Make sure to hold the arms securely with your hand. It’s also important that you support your baby’s chin with the space between your thumb and index finger. Grab your baby’s bottom so that he is sitting in the palm of your other hand. Gently rock him up and down on a 45 degree angle. You can also try gently shaking his bottom. This is definitely something everyone should know about. Keeping your baby calm will not only help reduce stress levels but it’ll also help you get more peace and quiet!